Home / how to crack ssb interview / SSB Interview / ssbinterview / What is Thematic Apperception Test (TAT) ? 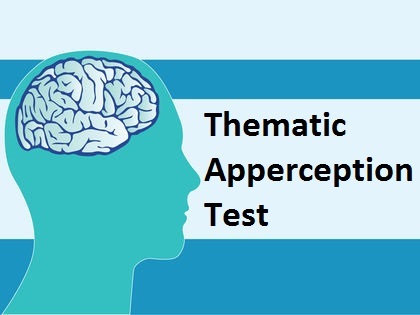 What is Thematic Apperception Test (TAT) ? 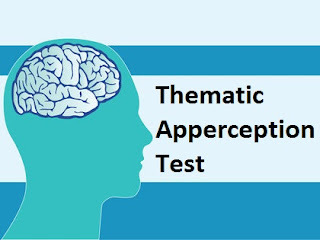 It is a projective test designed to reveal a person's social drives or needs by their interpretation of a series of pictures of emotionally ambiguous situations.Thematic Apperception Test is the second objective test employed by the SSBs to test the personality of the candidate. TAT is also a test of the candidate’s imagination. If an outline or hazy and vague picture is shown to a candidate, he will interpret it according to his imagination. These pictures, therefore, stimulate the thought processes of the candidate and he is able to weave around it a story. A set of 12 pictures is generally used including last one blank slide (you have to make your own story for blank slide). A slide of each picture is shown on a screen for 30 seconds and the candidates are required to write a story based on the picture in a period of 4 minutes in the particular space provided on the answer sheet. 1. write story in past tense. 2. male hero for male candidates and female for female candidates. 3. hero must be 5 years elder then your age. 2. linkage to situation ( that could be aim or problem). e.g. Rahul was the head of organising committee of college. He decided to organise inter college youth festival to showcase talent of youth. write the working,how he did it. don't write about the process. and finally comes to the RESULT. we can say Aim/Problem to result. futuristic growth of your hero, what he did for others. 3. status of your hero to give him authority and resources. 4. think of concept (problem or aim). What to be observed during 30 seconds of projection time in order to make a good story? like urban or rural sites,planes, mountains, sea etc. gender, no of people or crowd, cloths etc. 1. hero to be gender specific. 2. no central heading to be given. 3. no religion bias comments in the story. 4. avoid cuttings,blanks in your story. 5. the hero is not projected as an award seeker person, however his efforts and performance can be recognised, appreciated or awarded as per decree of struggle. Don't show greedyness. 6. theme to be happy, healthy and positive. 7. hero is to be reflected as man of vision and variety of imagination. 8. you must come up with fresh and new ideas for the story. 9. hero is single not the group. 10. do not discribe picture, just develop a concept around it. 11. theme should be realistic logical and progressive. 12. do not write real name of people, organisation or firms and don't write abbreviations. *Blank story must be aim oriented and must be on self or about career. 1. boating , swimming compition.